Apple just released the latest iOS update for their mobile devices with tag “A giant step for iPhone. A monumental leap for iPad”. 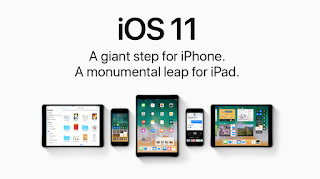 This update ie iOS11 is said to have tons of new features with and intelligent user interface which makes excellent use of the device capability. A new file explorer is added so you can now easily browse through all files found on your device and the ones stored on iCloud and third party apps like Dropbox. 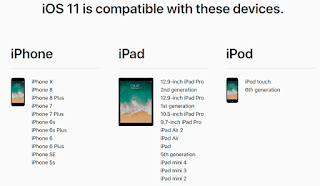 There are lots and lots of new features so if you are planning to use your device to the fullest, you can check out all the new features added to this iOS11 update Here. 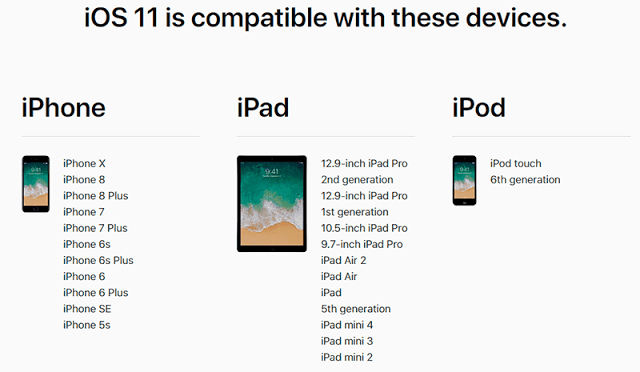 below shows the list of Apple devices that are getting the update.